Description SHIFT: Freedom is a re-release of the previously pricetagged AltShift, a new take on the Shift series now free in celebration of the Release of Shift 2 for the iPhone. So get ready for the most challenging, longest version of a SHIFT game yet - Now completley unlocked and free for everyone! Controls Arrows / WASD - move, jump, shift. Space + arrow - drug. 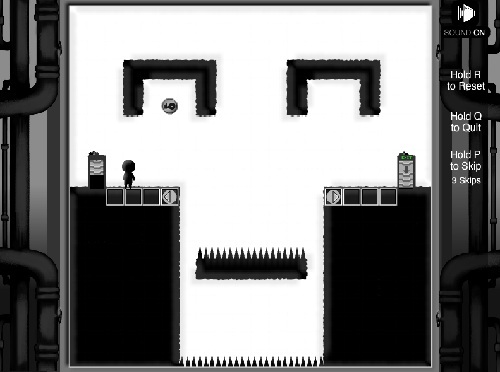 Very well made platform-puzzle game! Nice sounds.